Match ends, Real Sociedad 2, Rayo Vallecano 2. 90+5' Second Half ends, Real Sociedad 2, Rayo Vallecano 2. 90+4' Attempt missed. Jon Bautista (Real Sociedad) header from the centre of the box misses to the left. Assisted by Héctor Moreno. 90+2' David Zurutuza (Real Sociedad) wins a free kick in the attacking half. 90+2' Foul by Gaël Kakuta (Rayo Vallecano). 90+1' Óscar Trejo (Rayo Vallecano) is shown the yellow card. 90+1' Aritz Elustondo (Real Sociedad) wins a free kick in the defensive half. 90+1' Foul by Álex Alegría (Rayo Vallecano). 89' Delay in match Álex Moreno (Rayo Vallecano) because of an injury. 89' Joseba Zaldua (Real Sociedad) is shown the yellow card for a bad foul. 89' Álex Moreno (Rayo Vallecano) wins a free kick in the defensive half. 87' Foul by Jon Bautista (Real Sociedad). 87' Álex Moreno (Rayo Vallecano) wins a free kick in the defensive half. 86' Offside, Real Sociedad. David Zurutuza tries a through ball, but Jon Bautista is caught offside. 85' Attempt blocked. Álex Moreno (Rayo Vallecano) right footed shot from outside the box is blocked. Assisted by Giannelli Imbula. 84' Foul by Joseba Zaldua (Real Sociedad). 84' Álex Alegría (Rayo Vallecano) wins a free kick on the left wing. 83' Offside, Real Sociedad. David Zurutuza tries a through ball, but Mikel Merino is caught offside. 82' Willian José (Real Sociedad) wins a free kick in the attacking half. 82' Foul by Luis Advíncula (Rayo Vallecano). 82' Offside, Real Sociedad. Héctor Moreno tries a through ball, but Jon Bautista is caught offside. 81' Mikel Merino (Real Sociedad) is shown the yellow card for a bad foul. 81' Foul by Mikel Merino (Real Sociedad). 79' Offside, Rayo Vallecano. Óscar Trejo tries a through ball, but Álex Alegría is caught offside. 78' Goal! Real Sociedad 2, Rayo Vallecano 2. Willian José (Real Sociedad) header from the left side of the six yard box to the top right corner. Assisted by Joseba Zaldua with a cross. 77' Hand ball by Álex Alegría (Rayo Vallecano). 76' Substitution, Rayo Vallecano. Álex Alegría replaces Raúl de Tomás. 76' Offside, Real Sociedad. Kévin Rodrigues tries a through ball, but Willian José is caught offside. 75' Attempt saved. Aritz Elustondo (Real Sociedad) header from the centre of the box is saved in the top left corner. Assisted by Asier Illarramendi with a cross. 74' Joseba Zaldua (Real Sociedad) wins a free kick on the right wing. 74' Foul by Giannelli Imbula (Rayo Vallecano). 73' Corner, Rayo Vallecano. Conceded by Mikel Oyarzabal. 73' Corner, Rayo Vallecano. Conceded by Asier Illarramendi. 72' Corner, Rayo Vallecano. Conceded by Gerónimo Rulli. 71' Héctor Moreno (Real Sociedad) wins a free kick on the left wing. 71' Substitution, Rayo Vallecano. Adrián Embarba replaces Bebé because of an injury. 71' Delay in match Bebé (Rayo Vallecano) because of an injury. 70' Jon Bautista (Real Sociedad) hits the bar with a right footed shot from the centre of the box. Assisted by Kévin Rodrigues with a cross. 69' Attempt saved. Willian José (Real Sociedad) header from the centre of the box is saved in the bottom left corner. Assisted by Asier Illarramendi with a cross. 69' Corner, Real Sociedad. Conceded by Jordi Amat. 67' Joseba Zaldua (Real Sociedad) wins a free kick in the defensive half. 67' Foul by Gaël Kakuta (Rayo Vallecano). 66' Attempt missed. Willian José (Real Sociedad) header from the centre of the box misses to the right. Assisted by Mikel Oyarzabal with a cross. 66' Willian José (Real Sociedad) wins a free kick in the defensive half. 66' Foul by Jordi Amat (Rayo Vallecano). 65' Substitution, Rayo Vallecano. Giannelli Imbula replaces Álvaro Medrán. 63' Substitution, Real Sociedad. Willian José replaces Rubén Pardo. 62' Gaël Kakuta (Rayo Vallecano) is shown the yellow card. 61' Corner, Real Sociedad. Conceded by Alejandro Gálvez. 61' Attempt blocked. Mikel Merino (Real Sociedad) header from the centre of the box is blocked. Assisted by Rubén Pardo with a cross. 61' Substitution, Real Sociedad. Asier Illarramendi replaces Igor Zubeldia. 61' Luis Advíncula (Rayo Vallecano) is shown the yellow card for a bad foul. 55' Attempt missed. Álvaro Medrán (Rayo Vallecano) right footed shot from outside the box misses to the left. Assisted by Óscar Trejo. 54' Raúl de Tomás (Rayo Vallecano) wins a free kick in the attacking half. 53' Foul by Mikel Merino (Real Sociedad). 52' Attempt missed. Igor Zubeldia (Real Sociedad) right footed shot from outside the box is close, but misses to the left. Assisted by Mikel Oyarzabal. 52' Corner, Real Sociedad. Conceded by Jordi Amat. 50' Mikel Merino (Real Sociedad) wins a free kick in the attacking half. 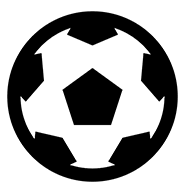 50' Foul by Santiago Comesaña (Rayo Vallecano). 49' Attempt missed. Jon Bautista (Real Sociedad) header from the centre of the box misses to the left. Assisted by Luca Sangalli with a cross following a corner. 48' Corner, Real Sociedad. Conceded by Raúl de Tomás. 48' Mikel Oyarzabal (Real Sociedad) wins a free kick on the left wing. 48' Foul by Alejandro Gálvez (Rayo Vallecano). 47' Foul by Joseba Zaldua (Real Sociedad). 47' Álex Moreno (Rayo Vallecano) wins a free kick in the defensive half. Second Half begins Real Sociedad 1, Rayo Vallecano 2. 45+2' First Half ends, Real Sociedad 1, Rayo Vallecano 2. 44' Offside, Real Sociedad. Igor Zubeldia tries a through ball, but Jon Bautista is caught offside. 42' Foul by Álvaro Medrán (Rayo Vallecano). 42' Rubén Pardo (Real Sociedad) wins a free kick on the left wing. 37' Foul by Gaël Kakuta (Rayo Vallecano). 37' Kévin Rodrigues (Real Sociedad) wins a free kick in the defensive half. 36' Goal! Real Sociedad 1, Rayo Vallecano 2. Óscar Trejo (Rayo Vallecano) converts the penalty with a right footed shot to the high centre of the goal. 35' Penalty Rayo Vallecano. Bebé draws a foul in the penalty area. 35' Penalty conceded by Joseba Zaldua (Real Sociedad) after a foul in the penalty area. 34' Attempt missed. Mikel Oyarzabal (Real Sociedad) right footed shot from outside the box is too high following a corner. 33' Corner, Real Sociedad. Conceded by Jordi Amat. 33' Foul by Raúl de Tomás (Rayo Vallecano). 33' Aritz Elustondo (Real Sociedad) wins a free kick in the defensive half. 31' Goal! Real Sociedad 1, Rayo Vallecano 1. Luis Advíncula (Rayo Vallecano) right footed shot from the right side of the six yard box to the top left corner. 29' Attempt saved. Luca Sangalli (Real Sociedad) right footed shot from outside the box is saved in the bottom right corner. Assisted by Kévin Rodrigues. 28' Corner, Real Sociedad. Conceded by Luis Advíncula. 28' Álvaro Medrán (Rayo Vallecano) wins a free kick in the defensive half. 28' Foul by Igor Zubeldia (Real Sociedad). 26' Foul by Óscar Trejo (Rayo Vallecano). 26' Rubén Pardo (Real Sociedad) wins a free kick in the defensive half. 25' Attempt missed. Raúl de Tomás (Rayo Vallecano) right footed shot from outside the box is high and wide to the right. Assisted by Álvaro Medrán. 21' Attempt blocked. Luca Sangalli (Real Sociedad) right footed shot from the right side of the box is blocked. Assisted by Rubén Pardo. 21' Attempt blocked. Héctor Moreno (Real Sociedad) right footed shot from the centre of the box is blocked. Assisted by Jon Bautista. 21' Corner, Real Sociedad. Conceded by Jordi Amat. 19' Corner, Real Sociedad. Conceded by Alberto García. 19' Attempt saved. Jon Bautista (Real Sociedad) right footed shot from the centre of the box is saved in the bottom right corner. 17' Corner, Rayo Vallecano. Conceded by Joseba Zaldua. 15' Igor Zubeldia (Real Sociedad) is shown the yellow card for a bad foul. 15' Óscar Trejo (Rayo Vallecano) wins a free kick in the attacking half. 15' Foul by Igor Zubeldia (Real Sociedad). 13' Delay in match Gerónimo Rulli (Real Sociedad) because of an injury. 12' Attempt saved. Raúl de Tomás (Rayo Vallecano) left footed shot from the right side of the six yard box is saved in the centre of the goal. 12' Attempt saved. Raúl de Tomás (Rayo Vallecano) right footed shot from the right side of the six yard box is saved in the centre of the goal. 12' Attempt saved. Raúl de Tomás (Rayo Vallecano) left footed shot from very close range is saved in the centre of the goal. Assisted by Bebé with a cross. 11' Corner, Rayo Vallecano. Conceded by Joseba Zaldua. 10' Offside, Real Sociedad. Héctor Moreno tries a through ball, but Jon Bautista is caught offside. 9' Attempt missed. Kévin Rodrigues (Real Sociedad) left footed shot from outside the box is high and wide to the left. Assisted by Igor Zubeldia. 8' Attempt missed. Bebé (Rayo Vallecano) right footed shot from outside the box misses to the right. Assisted by Óscar Trejo. 5' Goal! Real Sociedad 1, Rayo Vallecano 0. Jon Bautista (Real Sociedad) right footed shot from the centre of the box to the bottom right corner. Assisted by Luca Sangalli with a through ball following a fast break. 4' Foul by Álex Moreno (Rayo Vallecano). 4' Luca Sangalli (Real Sociedad) wins a free kick in the defensive half. 3' Foul by Mikel Merino (Real Sociedad). 1' Kévin Rodrigues (Real Sociedad) wins a free kick in the defensive half. 1' Foul by Óscar Trejo (Rayo Vallecano).